London based Luxury wedding cakes designers Sweet Hollywood present Alluring Grace Wedding Cake. Like all Sweet Hollywood wedding Cakes, the colours and design can be customised to match your theme or outfit. Furthermore this and other cakes can be made as an Egg Free Wedding Cake / Eggless Wedding Cake to suit your dietary requirements. Furthermore as part of of service we can deliver anywhere in London and surrounding counties. 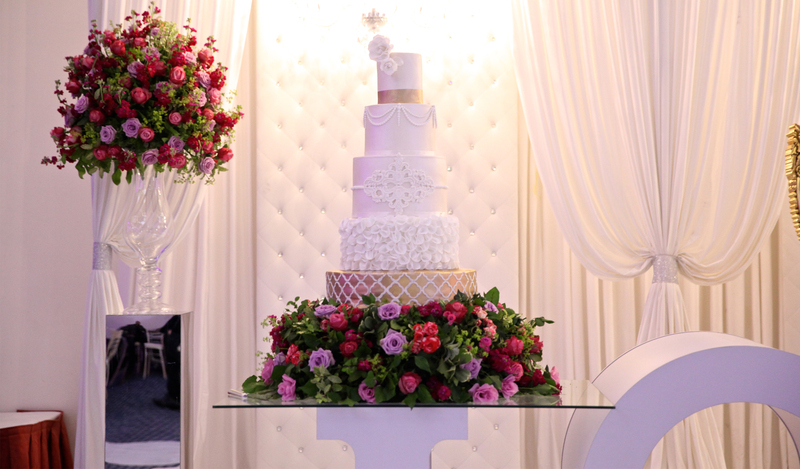 Like Hollywood our Luxury wedding cakes are larger than life, with each edible work of art directed by you the client and then beautifully crafted by our team of artists. The sweet recipe of perfection stems from a combination of stunning design, delicious flavours and our meticulous attention to detail. Each cake that you view in the gallery is a bespoke piece of work and can be tailored to your requirements. Copyright 2013 Sweet Hollywood. All Rights Reserved.